The storm caused by the Panama Papers has swept through Hong Kong again. 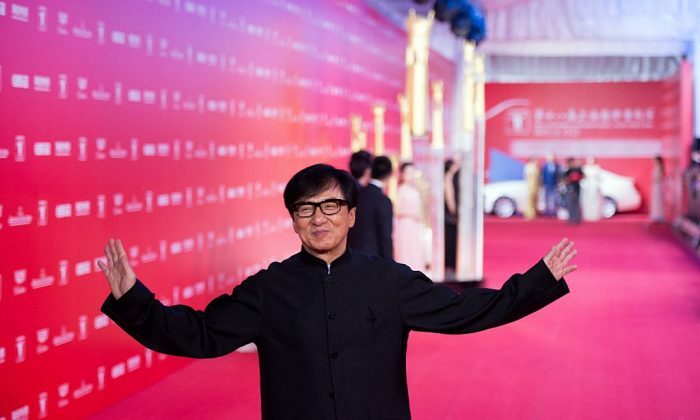 New leaks list 18 big-name celebrities in Hong Kong and Macau, including international film star Jackie Chan, who are said to have set up a number of complex offshore companies. Also on the list are Hong Kong’s richest man, Li Ka-shing, and Henderson Land chairman Lee Shau Kee. Some of the celebrities, such as the deputy chairman of the New Democratic Party, Michael Tien Puk-sun, have apologised for failure to declare their interests in the offshore investment. However, Jackie Chan has been silent so far. Chan has always been a favourite star of the United Front Work Department of the Chinese Communist Party (CCP). The public has been repeatedly outraged by Chan’s speeches flattering the CCP. The Panama Papers exposed the political and business network utilised by the CCP to buy off Chan. The network includes seven mainland tycoons operating businesses with Chan, four are well-known billionaires. Chan, a martial arts star, became popular internationally with the 1978 film “Drunken Master.” He is among a few Chinese actors who successfully merged into Hollywood A-listers. Chan’s numerous blockbusters set box office records and brought him into the limelight. As a member of the Chinese People’s Political Consultative Conference (CPPCC) National Committee, Chan also actively mingled with top government officers and businessmen in mainland China. However, in recent years, Chan seems to have been hit by one misfortune after another. In August 2014, his son, Jaycee Chan, was arrested by Beijing police for drug use. This year, Jackie Chan was absent for the first time from the CCP’s 2016 annual political meetings. A Panama file mentioned that Mossack Fonseca & Co. has been an authorized agent of at least six offshore companies belonging to Chan. The directors include Chan’s wife, Joan Lin, and their son Jaycee Chan. One of Jackie Chan’s companies, Dragon Stream Limited, was established by 10 people, in the British Virgin Islands in 2008. While Chan is the largest shareholder, holding more than 50 million shares, seven of the remaining nine shareholders are wealthy mainland Chinese people, including Sparkle Roll Holdings chairman Qi Jianhong, Belle International Holdings founder Yu Mingfang, China Dongxiang Group chairman Chen Yihong, and Intime Department Store Group chairman Shen Guojun, each holding 2 percent to 9.75 percent shares of Dragon Stream. The other two shareholders, Solon So and Zhao Xiaodong, are respectively Jackie Chan’s business agent and the former executive director of Sparkle Roll Holdings. Epoch Times looked up many files but could not find the business nature of Dragon Stream. However, on LinkedIn, a curriculum vitae of a self-proclaimed deputy general manager of Jackie Chan (Beijing) Beverage Co. Ltd. revealed that the company was founded before the 2008 Beijing Olympics by Chan and seven famous mainland entrepreneurs. With 200 million yuan (US$30 million) in capital, Jackie Chan Beverage Co. engaged in production and sale of high-end drinks and mineral water in the domestic market. The identities of the seven entrepreneurs are identical to those of the seven wealthy shareholders of Dragon Stream. Among the seven wealthy mainland shareholders, Intime chairman Shen Guojun has the highest net assets, worth 20.2 billion yuan (US$3 billion). Shen is a good friend of Alibaba chairman Jack Ma. Shen was reportedly born in a rural village in Zhejiang Province. He started his business by operating department stores, while how he built up his fortune remains a mystery. Shen joined the China Zhi Gong Party in 2009. Zhi Gong party is one of the eight “democratic parties” officially recognised by the CCP. The party consists of about 30,000 members, mainly from the middle and upper classes of returned overseas Chinese. The main purpose of the Zhi Gong party is to control overseas Chinese at home and abroad for CCP. Shen also regularly participates in activities with the United Front Work Department officials. But, Shen’s political role remains unknown. Both Shen and Chan are members of the CPPCC National Committee of the CCP. In addition to business cooperation, Chan regularly attended the activities organised by Intime. In 2013, Intime was involved in a lawsuit in Hong Kong. Continental Century Investment Management Group Limited, operator of the famous Inagiku Japanese Restaurant, lodged a lawsuit in the High Court alleging that Intime and its chairman Shen utilised false statements to mislead Inagiku into opening a branch in the Beijing Yintai Centre. In addition, Intime allegedly sent some people to ransack and seize Inagiku assets. Continental Century sought 300 million yuan in compensation from Intime. April 7 this year was Chan’s 62nd birthday. On that day, Chan, as a shareholder star, presented himself in the Shanghai Stock Exchange to attend the ceremony of renaming and restructuring Cultural Investment Holdings Co. Ltd (CIH). CIH chairman Qi Jianhong is another super-rich mainlander on the shareholders list of Dragon Stream. Qi, well-known for his extensive network with Chinese tycoons, is operating the Sparkle Roll Glory Club, which consists of more than 3,000 millionaire and billionaire members. Qi is the founder of Sparkle Roll Holdings Group, which mainly engages in acting as an agent of the world’s top luxury brands and became the sole mainland agent of Bentley, Rolls-Royce, and Lamborghini. It is also the exclusive agent of the brand of Jackie Chan. In 2010, Sparkle Roll Holdings Group cooperated with Chan to establish Jackie Chan Lai Yiu International Studios, which operates 36 branches in the mainland. At the same time, Sparkle Roll engages in the production of Moutai Jackie Chan Liquor and other goods in the mainland. 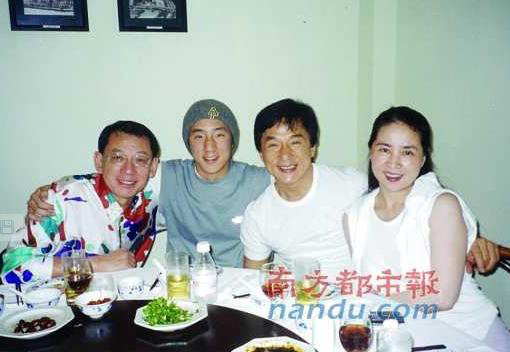 Qi Zhenkang, the eldest son of Qi Jianhong, is Jackie Chan’s assistant planning director in China. In the 2010 Hunan Spring Festival Gala, Chan also sang a song titled “Country” with Qi Meihe, the daughter of Qi Jianhong. “Country” is the “red,” or communist, song Jackie sang in the CCP’s 60-Year Anniversary Gala. The Panama Papers’ exposure of the intriguing relationships between Chan and the CCP’s officers and businessmen not only turned the spotlight onto Chan, but also set off a new wave of disclosing Chan’s secrets in Hong Kong and mainland China. On April 5, a public account on mainland WeChat, published an article titled “Jackie Chan’s Unknown Side,” which followed the Panama Papers to disclose Chan’s secrets. The article stated that in addition to a few rich mainland businessmen mentioned by the Panama Papers, Chan’s wealthy friends in Hong Kong include Emperor Group boss Albert Yeung. The article added that Chan may get involved in the Emperor Group’s acquisition of land on Beijing’s Chang’an Avenue. In 2006, the Emperor Group acquired land to build the Beijing Emperor Group Centre. However, the project promotion did not start until 2015, nine years after the land acquisition. In 2014, when Chan participated in the CCP’s annual meetings, he said he owned a piece of land in the mainland. However, the project on the land had been waiting for approval for eight years. Some Beijing internet communities talked about that Chan’s piece of land may be the one for the Beijing Emperor Group Centre. Chan and Yeung acquired the land in 2006 through Liu Zhihua, the sacked vice mayor of Beijing. The mainland media Caixin Net reported in 2015 that seven years after the former director of the Beijing Land Bureau, An Jiasheng, retired, he was not allowed to leave China as he was suspected of taking bribes. An’s case may relate to the Beijing Emperor Group Centre. Liu Zhihua may also be involved. 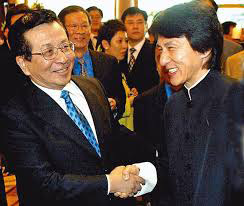 Hong Kong media reported that almost all of the politicians on good terms with Jackie Chan belong to the faction of former CCP leader Jiang Zemin. Among these politicians are brothers Zeng Qinghuai and Zeng Qinghong, the latter being a former Vice President of China and the No. 2 figure in the Jiang faction. Hong Kong media also reported that Chan had a close relationship with Bo Guagua, the son of the imprisoned former CCP Secretary of Chongqing City, Bo Xilai. 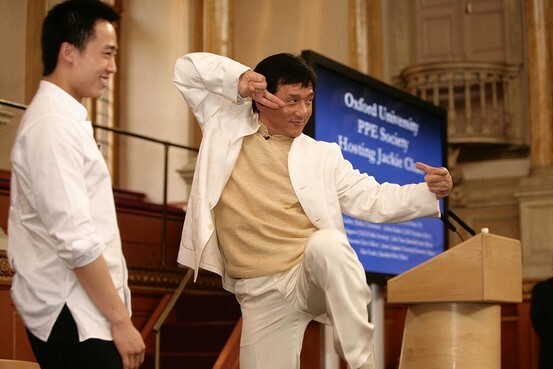 Chan once flew to the UK to support Bo Guagua’s election campaign for Oxford University Student Union President. During the CCP’s 2014 annual meetings, a photo showing a seemingly flirtatious moment when Chan was touching Song Zuying’s cheek with his cheek was publicized. Song is known to be Jiang’s mistress. Over the years, many of Chan’s speeches gilded the CCP and outraged Hong Kong people. For example, he publicly supported the legislation of the controversial anti-subversion law Article 23 in Hong Kong, beat the drum for the CCP’s suppression of human rights and freedoms, and criticized civil justice forces on many occasions. In January 2015, Jaycee Chan was sentenced to six months’ imprisonment for drug use. Despite being one of the Jiang faction’s favourite people, Jackie Chan reportedly exhausted all his efforts to rescue his son but failed. The news of Jaycee’s arrest was published the day after the Aug 17 Hong Kong Anti-Occupy Central march in 2014. It has been reported that Jackie Chan angered the Jiang faction by refusing to lead the Hong Kong entertainment industry to join the Anti-Occupy march instigated by the Jiang faction. As a result, Chan’s son suffered a revenge arrest.